Allison Swan has been involved in the funeral profession for over 45 years. At the age of 16, he decided that he wanted to dedicate his life to serving the families of his community. As an apprentice under James Allen, Allison went on to earn his embalmers license in 1971. Since that time, he has served his chosen profession in a number of capacities. 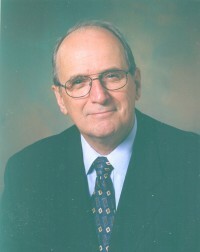 He is past president of the PEI Funeral Directors and Embalmers Association, chairman of the 28th annual Atlantic Funeral Directors and Service convention and also served at the national level as president of the Funeral Service Association of Canada in the mid-1990's, an honour preceded by 15 years as a member of the Board of Directors of the association. 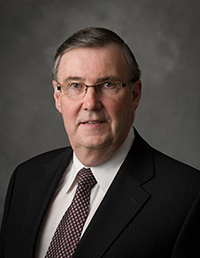 His involvement in the community extends beyond his profession, in that he is actively involved as a Rotarian with the Rotary Club of Charlottetown, a member of the Masonic Lodge, and the Greater Charlottetown Chamber of Commerce, as well as a member of his church. Gail (Harper) Swan has been involved in the funeral profession, since her marriage to Allison in 1970. 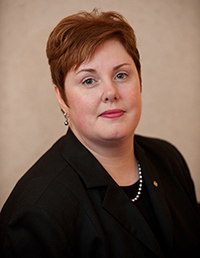 Gail is actively involved in the day-to-day operations of MacLean's, serving as chief financial officer and funeral director. Gail has completed courses in lay ministry and has provided pulpit supply for a number of Island churches and the local hospital. She is an active member of her church, having served on a number of committees and currently teaches the junior and senior high Sunday school class. In her free time Gail enjoys gardening, quilting and rug hooking. Jodi Swan has been caring for families at MacLean Funeral Home Swan Chapel for over the past decade. She is a Licensed Funeral Director and holds the C.F.S.P. (Certified Funeral Service Practitioner) designation from the Academy of Professional Funeral Service Practice. Jodi is also a Registered Social Worker, Certified Grief Counselor and holds Certification in Thanatology: Death, Dying and Bereavement. She is actively involved in the community, serving on the Board of Directors of the Rotary Club of Charlottetown Royalty. 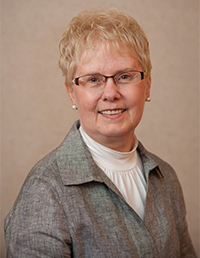 She presently volunteers with Hospice PEI and the Canadian Hospice Palliative Care Association, after having previously served on both boards. Jodi was pleased to deliver the online workshop, “A Startling Fact About Dying: Sexuality Matters!” for the Alberta Society for the Promotion of Sexual Health. Robert joined the staff of MacLean Funeral Home Swan Chapel in 1996 and provides families with the support and knowledge to complete all necessary government forms for death benefits, as well as other documents. His long-spanning career in finance has provided him with the skills to understand and complete tasks which may seem tedious after the loss of a loved one. He is an active member of his faith community. Robert and his wife Rosemary reside in Charlottetown.